Ecology Symposiums have been organized with a national participation 7 times so far. The eighth International participation was attempted at Erciyes University. This will be the second in a series of international ecology symposiums in Turkey. We are honored to host the 9th International Symposium on Ecology which will be held at Kastamonu University. The symposium aims to bring together the latest researchers and results of various topics of colleagues such as biology, agriculture, veterinary, engineering, economy and medicine with development of ecology fields in Kastamonu. We aim to strengthen the industry and government cooperation with university and transfer experiences in committees that will present the solution offers, and discuss the current environmental problems with scientific approaches within a sustainable environmental conception. Participants will be able to present oral and poster presentations with the 24 topic title in the symposium. Additionally, we have invited four master-speaker experts in their fields. After the opening ceremony of the Symposium, the rest of the event will be performed in our halls of Engineering and Architecture Faculty. We welcome those who want to see the weaving writings, traditional dresses sold in Turkish Bazaar and see them at the top of Kastamonu Castle and watch the path of İstiklal, listening to Mehmet Akif Ersoy who preached on Friday in the Nasrullah Mosque in Kastamonu during the National Struggle days. We call you to visit the İsmail Bey Külliyesi, Yakup Ağa Külliyesi and Yılanlı Kulliye in Kastamonu, and woodmade by kündakari technique in Mahmutbey Mosque, by drinking water such a taste of zam zam in the Şeyh Şaban-ı Veli Tomb, spiritual pillars of Anatolia and feeding the pigeons around the Nasrullah Mosque. It would be a surprise to see the imam of the Atabey Gazi Mosque comes out with sword on Friday preach .Also, you will take a spiritual journey in Aşıklı Sultan Tomb and refresh your heart. The natural beauties are waiting to be discovered by our participants in Kastamonu such as The crystal clear waters of Gideros and Ginolu, the coasts of Abana, İnebolu and Cide, the peaceful place of Ilıca waterfall, the Horma Canyon in the Küre Mountains National Park, and the view terrace in the Valla Canyon, Çatak Canyon. We wait for those who want to taste the traditional food named Kuyu Kebab, which is delicious in the city of Kastamonu, the traditional flavors Çekme Halva, and enjoy the taste of Tirit, Banduma, Ekşili Pilav, and Etli Ekmek which decorate the table in the garden of a historical mansion. For this purpose, it is our desire to present you the historical and touristic places of Kastamonu, to enjoy the natural beauties, to have an unforgettable congress with a relaxed and pleasant ambience in Kastamonu University during the most beautiful period of June of the Western Black Sea's beautiful city Kastamonu. 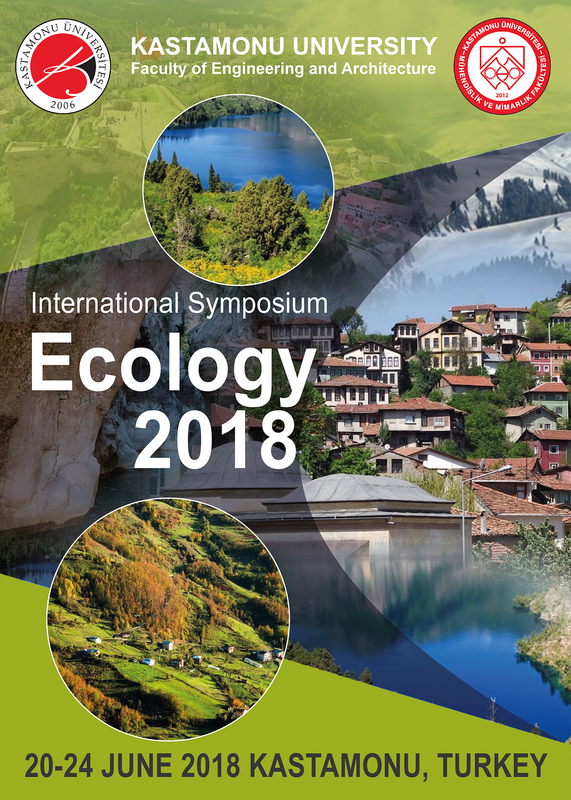 We will be honored and happy to host you “International Symposium of Ecology 2018 ” that will provide significant contributions to the public and private institutions and the scientific world in June.